You have only a day to discover Lisbon and the South Part of Portugal? We will customize your trip for what you want to see. Explore Lisbon, the City of Seven Hills, which lies on the banks of the Tagus River. At the top of the highest hill of Lisbon, you will visit the Castle of Saint George, from where you’ll enjoy an astonishing view of the city. You’ll also visit the old Moorish quarter of Alfama, where time has made few changes and where modern life marches on in the narrow cobbled streets and old, quaint houses. Stopping next at Sesimbra which leads to windswept Cabo Espichel, quite a mystical and eerie cape. The views of the coast and ocean are stunning, with cliffs dropping almost vertically several hundred feet into the Atlantic. Enjoy a relaxing afternoon as you head into the Portuguese countryside to Azeitao, known for its red wine and some of the finest quintas (villas or country estates) in the country. 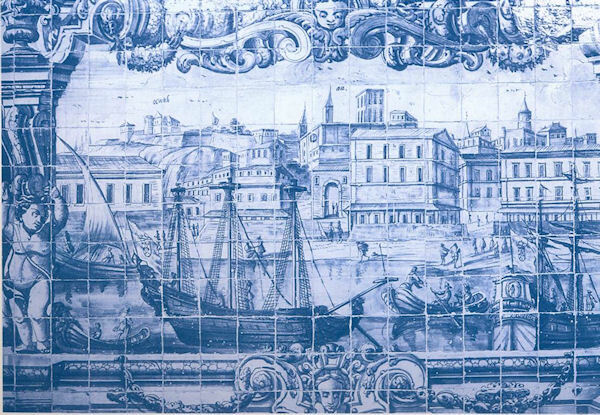 Visit a handmade Portuguese tile factory and sample the local Portuguese wines. In this tour you can have a taste of the South of Portugal discovering. Before leaving we will visit the Monument to Christ, built in 1959 on the south bank of River Tagus, the 110 meter high statue of Christ offers a magnificent panoramic view over Lisbon and River Tagus.